This living history collection, features close to 30 unique and one-of-a-kind aircraft from America's Golden Age of Aviation (1920's-1930's). 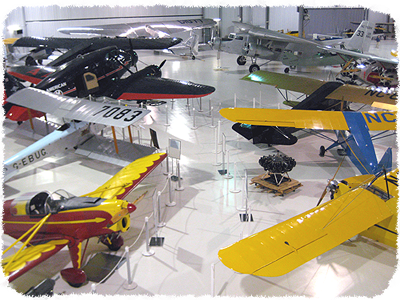 This private collection is housed within a modern 45,000 square-foot hangar, located at the Anoka County Airport in Blaine, Minnesota. Among rarities are NASA's first aircraft, a stainless steel amphibian and the first airplane in which a pope ever flew. One of six trimotors in the collection is a 1927 Ford Trimotor. The full ground-up restoration is America's oldest existing airliner. Charles Lindbergh and Amelia Earhart are among the many notable aviators who have flown some of these unique and rare aircraft. Truly a one-of-a-kind collection of this era.